Decorative cabinet hardware is a lot like jewelry, it can add the perfect accent. 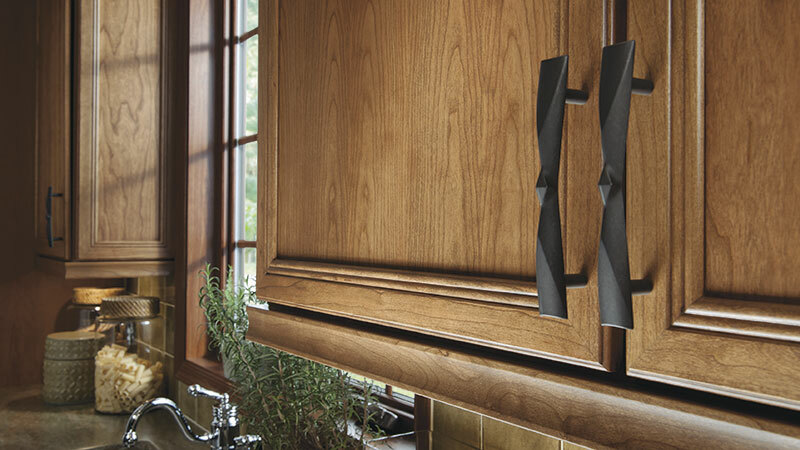 Omega offers many kitchen cabinet hardware styles including knobs, pulls and appliance pulls as well, making it easy to complete your design theme. Maybe a combination of both! Your Omega Designer can guide you on the best cabinet hardware selection for your composition, taking into consideration your chosen door style, drawer front details and the interior finishes within your home. When it comes to kitchen cabinet hardware material and color, let the rest of the components in your home be your guide. Interested in mixing finishes? Happily, today — almost anything goes — alleviating a right or wrong combination. Your Omega Designer can guide you on the most artful cabinet hardware choices to complement your entire home.